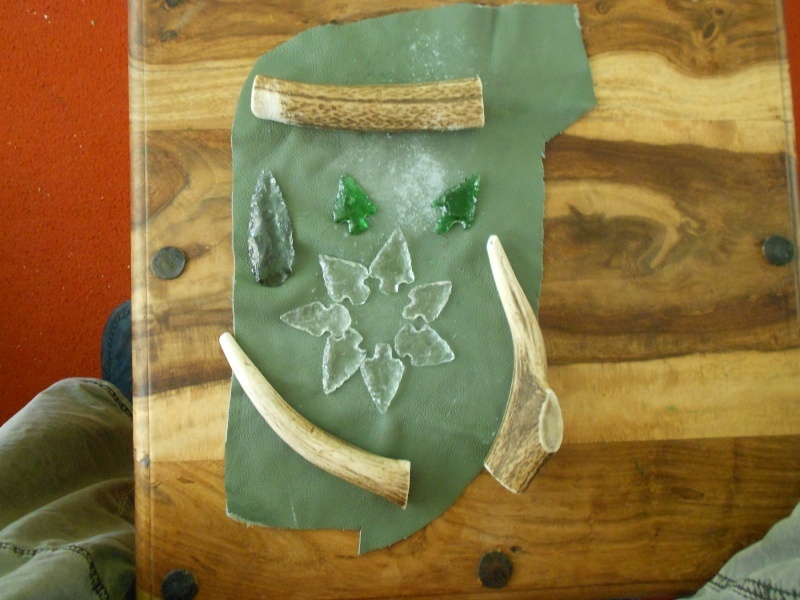 i have knapped some point from bottle bottoms recently..
these are from a mix of milk bottles and booze bottles, all done with the bits of antler in the pic. the longer one is a point from tv glass, my first attempt to knap with that stuff. i've enjoyed trying to notch/tang them and am starting to experiment with antler slivers to to use as punches for notching, but i need to work on this a lot more. Excellent arrowheads, the grey one looks liek it could almost be obsidian. Lovelly work there, and all with antler.